Users can now specify if they want the formatter to align the end bracket of their start tag with the begin bracket for tags that span more than one line. 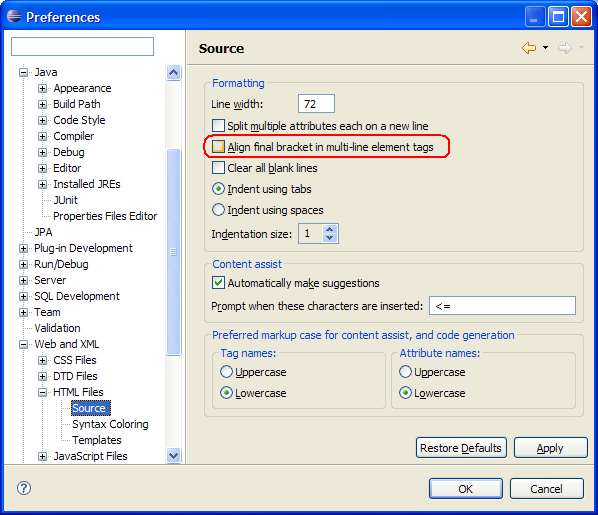 The align end bracket preference can be found in the HTML Source preference page. Users can now specify their own color preference for entity references. 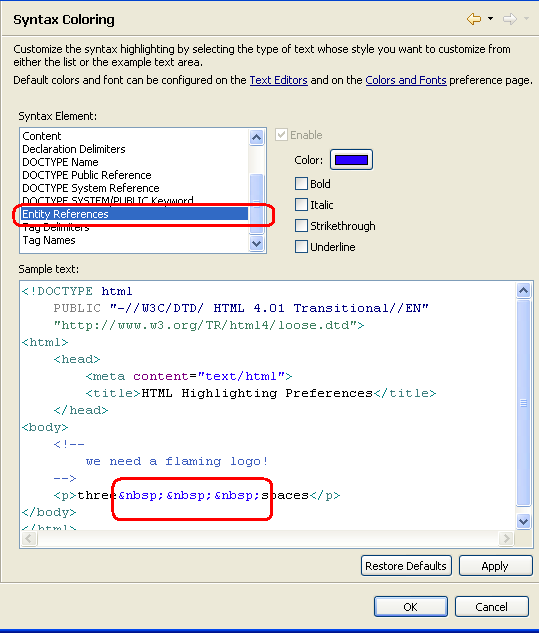 The new preference can be found in the HTML Syntax Coloring preference page.